Heat oven to 400°F. 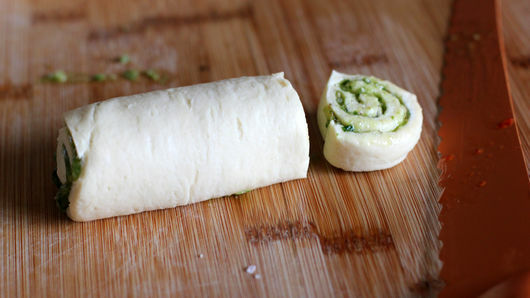 Unroll dough; separate into 2 long rectangles. On 1 dough rectangle, spread thin layer of basil pesto. Reroll dough; cut roll into 6 (1/2-inch) slices. Place slices on ungreased cookie sheet. Repeat with remaining rectangle of dough and tomato pesto. Bake 10 to 12 minutes or just until golden brown. Remove from cookie sheet to serving platter. 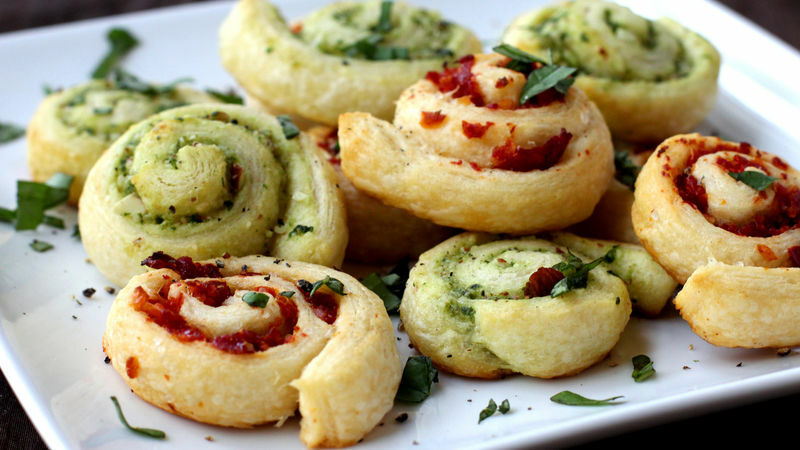 Garnish with a sprinkle with basil. Serve warm. Go Green—Can’t find a red pesto? No problem! 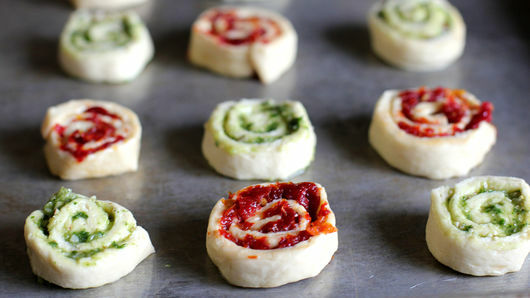 A whole batch of green spirals is just as eye-catching. Double the amount of basil pesto and omit the red pesto to make this recipe work with just one type of filling. Pairing Suggestions—These beautiful appetizers pair nicely with skewers of tomatoes and mozzarella, citrus slices and a medium red wine.